Yoast, who you might know from the SEO community or from the various WordPress plugins he’s developed, has now created a WordPress SEO plugin. I recently had the chance to try it out. You can follow along in my video screencast below, as well as further thoughts later in the post. Currently on Theme Lab, I use a few different SEO plugins including All-In-One SEO Pack, XML Sitemaps, RSS Footers (also by Yoast). I’ve also used plugins like Yoast Breadcrumbs on other sites. Yoast’s WordPress SEO plugin combines all of these features into a single plugin making it much more of an all-in-one solution than other SEO plugins available on the market today. Best of all, you can import and export all of your settings which can be transferred to other sites easily. With plugins like SEO Data Transporter from StudioPress, you can import SEO settings from pretty much every popular SEO plugin or theme framework to be compatible with Yoast’s WordPress SEO. I’d recommend WordPress SEO by Yoast as a must have plugin. On more recent site developments, I’ve tried to stop using as many plugins which included cutting out plugins like All-In-One SEO Pack in favor of storing meta tags and custom titles hard coded into custom fields. With all of the WordPress SEO plugin’s useful features covering many aspects of SEO, you really can’t afford not to use it. I plan on switching to the WordPress SEO plugin on Theme Lab in the future. 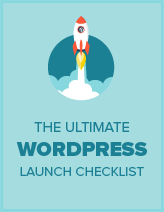 What do you think of the WordPress SEO plugin by Yoast? If you currently use another SEO plugin or theme framework, would you consider switching? I’m using WordPress SEO on one of my blog and ALL in one SEO in the other. I do not know if I missed something but the other blog (the one with all in one seo) performed better. Maybe I just need to optimized further my blog with WP SEO to fully utilize it capabilities. Keep in mind these plugins really only handle on-site SEO, there’s a lot more to SEO than just what these plugins can do for you. Thanks for the video overview – very helpful. I had been using All in One SEO for the last 6 months, but found it a bit confusing and had a few conflict issues with other plugins. I had been wanting to try out Yoast and your video helped me make the move. Certainly the transfer of data from All in On SEO was simple and the whole design of the Yoast plugin is very clean and easy to use. The breadcrumb feature appears to link in well with the Genesis Child theme I am using, but I am a bit like @Dave in finding some of the SEO concepts quite difficult. Yoast is by far the best SEO plugin at ‘explaining’ some of the nuances surrounding META and nofollow descriptions. These are things I have always struggled with. May I make a feature request? It’d be wonderful if this plugin had options for Facebook’s Open Graph tags. I haven’t found a plugin that is particularly elegant to handle just the basic tags in the head of the document. Existing plugins either seem to be customizing the Like button or creating an entire Facebook application to plug into WordPress. I really believe that the Open/Social Graph is going to be the next generation of SEO, from just robots scraping text to real semantic meaning. I’m not that familiar with Open Graph but that seems like a good suggestion. You may want to bring that up directly with Yoast since I’m not sure how much he’s keeping track of the comments here. I’ve been testing it since the first public beta, it’s quite good. Still has a little ways to go but I haven’t hesitated to implement it on a few smaller sites. Huge improvement over A-I-O on a number of fronts. Can’t wait to see what plugins for the plugin come out in the future (we need a better name for plugin plugins…inserts? adaptors? converters? Something!). Are you talking about modules? I believe there are a few already for video SEO, news SEO, and local SEO (some of which are paid). Thanks for this – I found out about the plugin over the weekend and was thinking of replacing All-In-One SEO, now I will! I’ve been testing this plugin on some smaller sites. It really does function very well. I do however wish it would come with more help files, as not everything is abundantly clear. What are some of the things you don’t find clear? Can I use 2 SEO plugins at a time on my blog? Meaning can I use ALL IN ONE SEO and Yoast SEO plugin together for my blog? Does Google penalize if so? No, plus it’s kinda pointless to have both of them activated since they do a lot of the same things. You should choose between one or the other. I doubt Google would penalize you for using both of them at once, but again, there’s no point to combining them in the first place. Then you said that you are using Yoast plugin on your blog? How is the result? Is it better than All In One SEO? I actually haven’t switched it yet, but I wouldn’t expect any immediate SEO result if I did switch (probably hardly any at all). If I did switch I would import all my custom titles and meta descriptions, plus I already use the RSS Footer plugin, so the onsite portion of the SEO would stay pretty much the same. The first release was a bit shaky but now Yoast has really started to master this plugin. I find the benefits are great – espcially when it comes to merging a load of other plugins into one (XML sitemap, breadcrumbs etc).